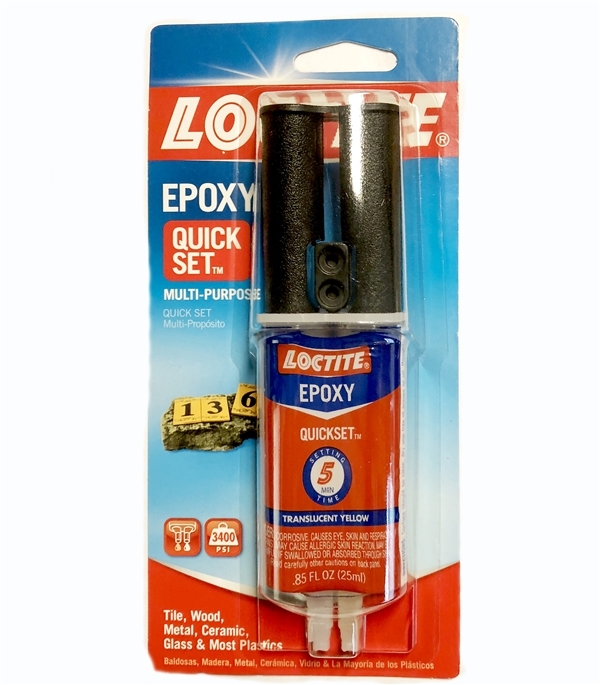 Loctite Epoxy Quick Set. Multi-purpose epoxy, perfect gap filing and surface repairs. Can be tinted with earth pigments, cement or sand for color matching. Will not shrink. Resistant to water and most common solvents. Translucent yellow. 3400 PSI. Works great on tile, wood, metal, ceramic, glass and most plastics. Easy plunger style application. Instructions on packaging.